Detailed and Careful Installers – Your communications system must be well designed and carefully installed to remain reliable and fast. The qualified installers at JP's Best Electric are trained to handle all types of network wiring projects. Equipped with the latest industry knowledge and cutting edge tools, the professionals at JP's Best Electric are ready to work on your network, offering design, installation and support services. Prompt and Reliable Scheduling – Network problems can bring down an entire office, and even residential network systems grind to a halt when issues arise. JP's Best Electric provides professional service fast, with expert technicians ready to tackle repairs or expansions right away. Expect JP's Best Electric technicians to be prompt and reliable, providing the expertise needed to get your network up and running. 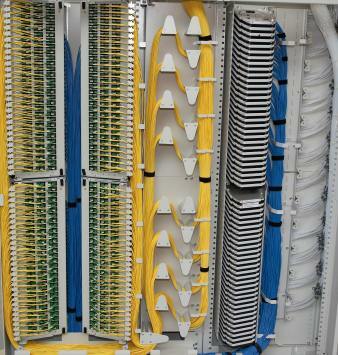 Affordable Rates – Network wiring is often the backbone of an office communications system. Investing in the services of a professional to design and install this system is a wise move. And JP's Best Electric offers complete network wiring service for a reasonable cost. Trust the experienced installers, reliable scheduling and affordable rates of JP's Best Electric. Handling network wiring projects of any size, JP's Best Electric is qualified to install the latest data, telephone, television and sound system wiring. Call JP's Best Electric at (315) 465-0395 for more information and to arrange for a quotation.